+ ARRL in Action: ARRL Argues that Oklahoma Town's RFI Ordinance is "Null and Void"
Officials in Midwest City, Oklahoma sent a letter to a local ham, trying to regulate radio frequency interference (RFI) issues, something that only the FCC is allowed to do. Saying that only the Federal Communications Commission is empowered to regulate radio frequency interference (RFI), the ARRL has notified Midwest City, Oklahoma, that its local ordinance 27-3(9), seeking to regulate radio transmissions and RFI, is "null and void." 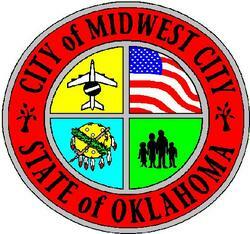 Midwest City is in the Oklahoma City metropolitan area. The ordinance reads: "In addition to other public nuisances declared by other sections of this Code or law, the following [is] hereby declared to be [a] public nuisance: Operating or using any electrical apparatus or machine which materially and unduly interferes with radio or television reception by others." On July 21, ARRL General Counsel Chris Imlay, W3KD, wrote to Midwest City Assistant City Manager Dave Ballew, City Attorney Katherine Bolles and Director of Code Enforcement Mike Stroh, informing them that the ARRL had been provided with a copy of the ordinance by amateurs in that community. "We are also aware that a notice was sent by Mr Stroh on behalf of the City to one of ARRL's members who resides in Midwest City asserting that the FCC-licensed radio amateur to whom the letter was addressed was in violation of the ordinance as the result of radio frequency interference appearing in a neighbor/complainant's home electronic equipment," the letter read. "The licensed radio amateur was ordered to remedy the problem in one day, under penalty of a sanction assessed against the real property of the radio amateur." Read more here. The ARRL's West Gulf Division consists of the States of Texas and Oklahoma. After review of eligibility by the ARRL Ethics and Elections Committee, President Kay Craigie, N3KN, has appointed John Robert Stratton, KE5ISX, an attorney in Austin, Texas, to serve as Vice Director of the ARRL West Gulf Division for the remainder of the current term that expires January 1, 2011. Stratton, an attorney, fills the vacancy created when John Thomason, WB5SYT, resigned the position earlier this month. "John Robert Stratton has the training, experience, time and motivation to be a great Vice Director," said ARRL West Gulf Division Director Dr David Woolweaver, K5RAV. "His addition to the West Gulf Division's team will enhance its ability to provide the quality of service the membership deserves." A General class licensee, Stratton has been licensed and an ARRL member since 2006. In February 2007, Stratton became active in League affairs after learning about the new cell phone bills that were introduced in the 2007 Texas Legislative Session, and he volunteered to help work against the bills. He was put in touch with Dr Woolweaver, who was then the West Gulf Division Vice Director and was leading the West Gulf legislative efforts. "Initially just a volunteer, I was selected to lead the West Gulf legislative team," Stratton said. "We were successful in defeating the cell phone bills that would have made mobile Amateur Radio operation illegal. With the help of some smart and dedicated hams, we were also successful in obtaining passage of new laws that protected those state employees who were hams [so they could operate] when they deployed in emergencies." Read more here. After a higher than expected run on pins for Field Day this year, the ARRL has ordered more and expects them to arrive next month. "The pins were in stock until just before Field Day, but due to some exceptionally high interest, we were unable to fulfill a few final orders," said ARRL Product Marketing Specialist Jackie Ferreira, KB1PWB. "We have reordered the pins, as many hams enjoy collecting these annual pins; lots of ARRL-affiliated radio clubs also like to hand these out to their members who participate in Field Day each year." The 2010 Field Day pins may be ordered from the ARRL online store or by telephoning 888-277-5289 in the US, Monday-Friday from 8 AM-5 PM Eastern Time (outside the US, please call 860-594-0355). Pins will begin shipping in mid-August. VHF/UHF weak-signal operators across North America are making the final tests on their stations in preparation for the ARRL UHF Contest, coming up the weekend of August 7-8. Most VHF+ weak-signal operation takes place on the two lowest-frequency bands of the VHF spectrum -- 6 and 2 meters; however, a lot of activity takes place above 144 MHz in the UHF portion of the radio spectrum and beyond. This contest focuses on 222 MHz and above; there will be lots of activity, and hopefully lots of propagation, too! Read more here. They came from 15 states and four foreign countries. In their suitcases were radio sets, antennas, sun block and running shoes, but they left some room in hopes of taking home a medal or two. They were the hams and future hams -- ranging from age 12 to older than 70 -- who went to Southwest Ohio in the third week of May for the 10th Annual USA Championships of Amateur Radio Direction Finding (ARDF). 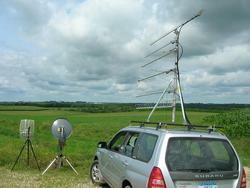 ARDF is done on 80 meter CW and 2 meter AM in separate events, each with five "fox" transmitters. A course is typically three miles from start to each of the five transmitters (in optimum order) and then to the finish. Your mission is to find your assigned three, four or all five foxes, depending on which of the 11 age/gender categories you are in. Each transmitter is on for one minute at a time in a five-fox cycle that repeats. You must find your way on foot with just your direction-finding gear, the map you're given and your compass. GPS help is not allowed. Read more here. It's easy to see how many items are available when searching "ARRL" on the new Federal Register's Web site. Click here for a larger image. While the Federal Register may be the ultimate record of the business of the USA's Executive Branch, it can be difficult to navigate. The Register publishes approximately 80,000 pages of documents each year in the form of Notices, Proposed Rules, Rules and Official Documents; this is where all new and amended rules to Part 97, the Amateur Radio Service, must be published before they go into effect. On Monday, July 27 -- in an effort to make things a bit easier on the thousands of people who access the Federal Register each day -- the US Government Printing Office and the National Archives' Office of the Federal Register launched a new and improved online Register. Named Federal Register 2.0, it is an outgrowth of President Obama's first executive order that mandated greater federal government transparency. The launch of the new site coincided with the 75th anniversary of the Federal Register Act, which became law on July 26, 1935. Read more here. Now users are "just one click away" from finding what they need at the FCC. Beginning July 28, those who have dealings with the FCC will have a new tool that the FCC claims will put them "within one click of all the information they want" from the Commission: a new "easy-to-use" Consumer Help Center. "Our new Consumer Help Center makes it easy for consumers to learn about our work and take action," said FCC Chief of the Consumer and Governmental Affairs Bureau Joel Gurin in a press release. "Here, in one place, consumers can do a number of things, such as read about consumer issues, get practical advice for avoiding problems, file a complaint, comment on our rulemakings, or read what our FCC experts are saying in our Consumer Blog." Read more here. The Sun, as seen on Thursday, July 29, 2010 from NASA's SOHO Extreme Ultraviolet Imaging Telescope. This MDI (Michelson Doppler Imager) image was taken in the continuum near the Ni I 6768 Angstrom line. The most prominent features are the sunspots. This is very much how the Sun looks in the visible range of the spectrum. Tad "Somewhere in this favored land the Sun is shining bright" Cook, K7RA, reports: We've seen increasing solar activity all this week, with average the daily sunspot numbers rising nearly 14 points to 35.6, and the average daily solar flux rising nearly 5 points to 85.3. Sunspot group 1089 has grown, shrunk and is now growing again; as of Wednesday, it has been visible a total of 10 days. Three more sunspot groups appeared this week, with the latest -- group 1092 -- rapidly appearing on Wednesday with a relative size of 180 millionths of a solar hemisphere. The relative size of group 1089 for July 19-28 was 130, 150, 310, 240, 200, 160, 140, 100, 70 and 90. 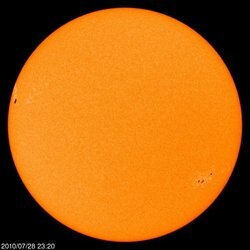 The predicted solar flux (as of Wednesday) for July 29 is 85, 87 for July 30-August 1 and 85 for August 2-4. The predicted planetary A index for those days is 15 for July 29, 10 on July 30-31, 8 on August 1-2 and 6 on August 3-4. Along with increased solar activity, we have seen higher geomagnetic indicators, all due to a stiff solar wind. Both the planetary and mid-latitude A indices nearly doubled for the week. Look for more information -- including a look at sunspot activity and predictions, as well as 6 meter activity now compared to the 2000-2001 sporadic-E seasons -- on the ARRL Web site on Friday, July 30. For more information concerning radio propagation, visit the ARRL Technical Information Service Propagation page. This week's "Tad Cookism" is brought to you by Ernest L. Thayer's Casey at the Bat. All dates, unless otherwise stated, are UTC. See the ARRL Contest Branch page, the ARRL Contest Update and the WA7BNM Contest Calendar for more information. Looking for a Special Event Station? 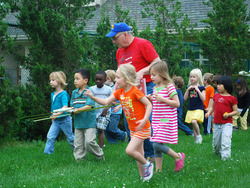 Be sure to check out the ARRL Special Events Station Web page.